I love my iPad Pro….it was a purchase I didn’t intend on making, but when I wrote on the screen with the Apple Pencil I knew I had to have one! For me it’s been a brilliant addition to my gadget collection and it is really handy for taking meeting notes and instantly digitising them. I also like personalising products, and with the birth of my Etsy store and my new logo design I have found myself playing more and more with digital design (and building up a library of cool patterns that can be used on my products, or just in my own planning). 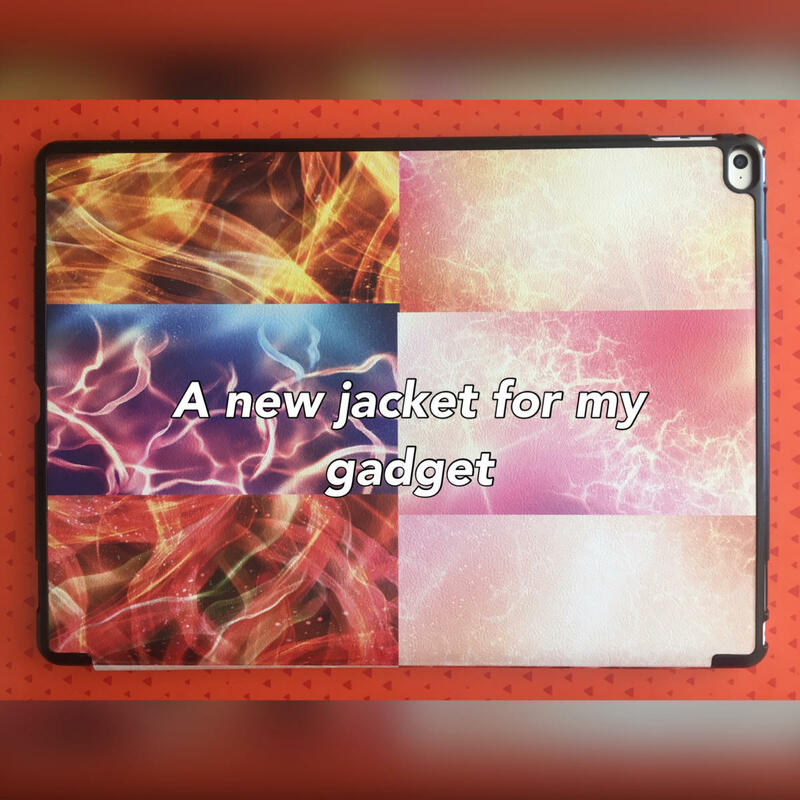 When I was given the chance to review a personalisation service by Imagise I decided that my iPad Pro needed a new cover. I have been gifted the cover in exchange for an honest review and all views in this post are my own! 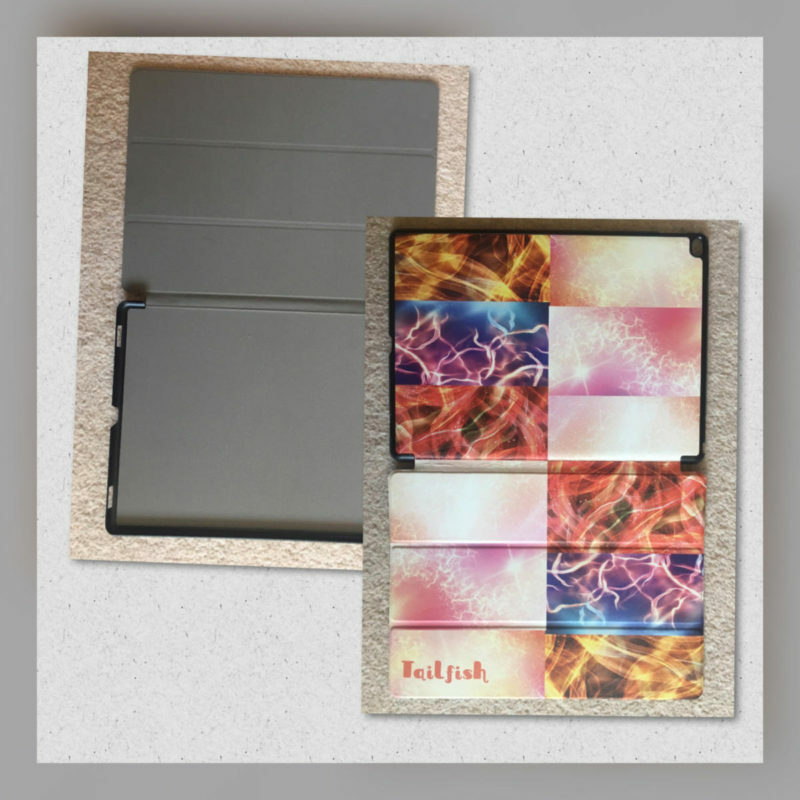 Imagise offer a range of customisable options for phone and tablet cases, as well less technology focused gifts including jigsaws, clocks and hanging slates (great for signs!). I decided that I wanted an iPad Pro cover as I sometimes find the keyboard cover I had offers less protection than I would like. Especially if I am out and about and know I won’t be needing to do a lot of fast typing! The site is easy to navigate, you click on the section you are interested in, then choose the appropriate option. 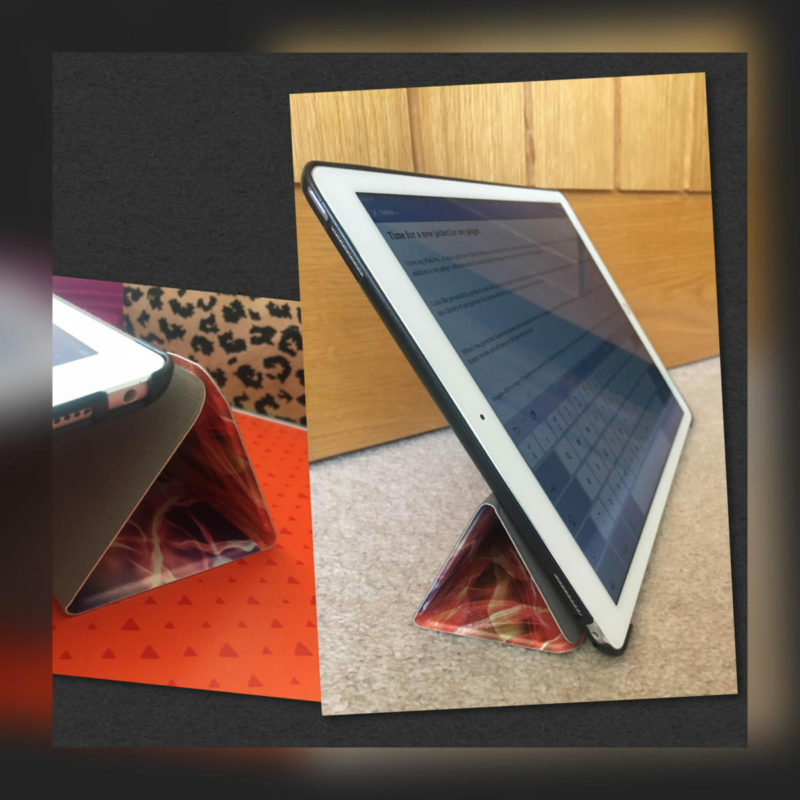 This then gives you all the relevant information on the product, including the materials it’s made of, any functionality (the iPad cover has the automatic wake/snooze ability and folds into a stand to help with positioning when you’re on a Netflix marathon!). Once you have chosen your product you move into the design phase….there’s a useful video that you can watch to show you how to load your designs or choose those that are already available to you. Or you can just go with the random click option if you’re already familiar with sites like this. It really is simple, choose a background colour, add a design (one of theirs or load your own), add some text (if you want to), and any additional graphical choices. You can use one big photo of your family, or make up a collage of memories! It really is as simple as coming up with an idea, loading the relevant photos and positioning them to how you want it to look! I decided to make a collage of some of the space style graphics I had recently purchased as I like bright colours and wanted to see how the print quality was. I also wanted to test out the ease of handling multiple images. It really was easy! 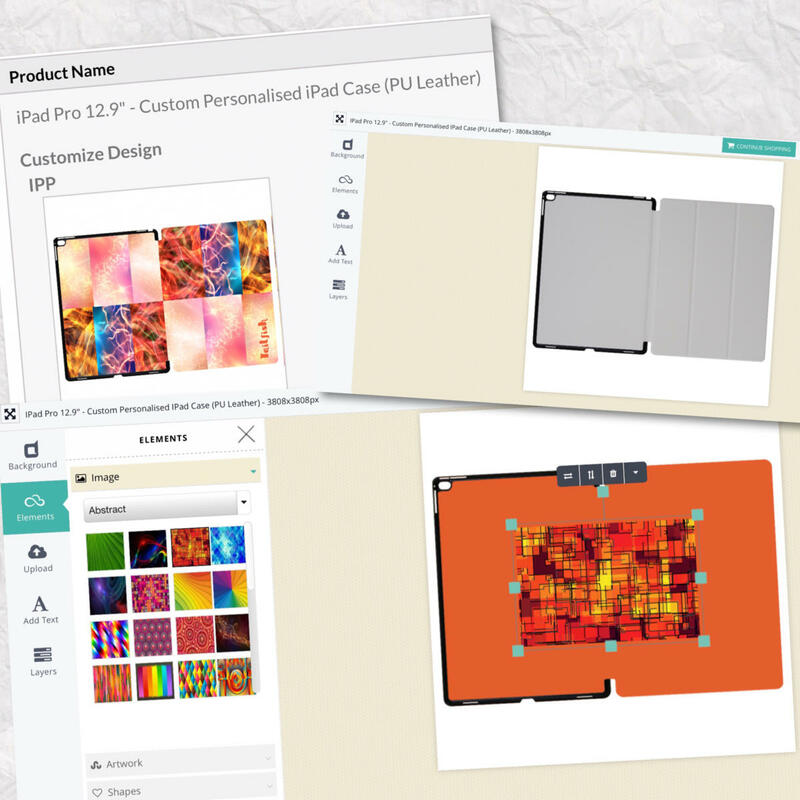 Once you are done you can download a copy of your design and then it’s just a case of saving it in the system and moving on to the purchase…..this is just a standard, online shopping style process so nothing to share here. There we have it design done, and off to the printers….mine arrived in a couple of days and I am really impressed with the quality. It’s tough plastic and gives all round protection of the edges, whilst keeping all buttons and speakers clear and accessible. It certainly protects as it should do and when folded into the stand options is sturdy enough to watch Netflix, or to write on at an angle without collapsing (something my other case can be a bit temperamental on!). The colours of the designs have come out well, and I love the Tailfish logo in the bottom corner….the great thing is you can make your own branded products if you are going to be using them in an environment where you want to promote your company, or you could just cover it with fun photos. Your imagination is the only restriction and this means that can be used as gifts for a range of people….photos of the kids for the grandparents….photos from a holiday for someone who has the travel bug…or just bright, geometric designs for someone who likes to standout in a crowd! All in all using Imagise was simple, quick and I got exactly what I ordered!! Who can complain at that? Why not check them out for your personalised gifts and purchases…what would you design?